Following the recent split of Western from Thick-billed Grasswren, the June 2012 Southern Birding Services Grasswren tour included this species for the first time. The tour took 8 participants in two 4WD vehicles up the Birdsville track. The tour was guided by Peter Waanders, assisted by Helga Kieskamp. A total of 148 species were seen (very few waterbirds), including all Grasswrens (though fog prevented good views of Short-tailed). It was a cold, overcast morning and the birds took some time to become active but after a while we were looking at a Southern Scrubrobin singing from a bare branch. Its partner was foraging on the ground below. A very inquisitive family of Emu amused us and a Chestnut Quail-thrush was heard singing, and located with some effort, after which great views of a pair were had by all. 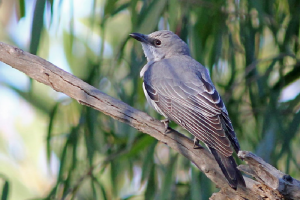 Other birds present included White-fronted Honeyeater, Gilbert’s Whistler, Mulga Parrot, Spotted and Striated Pardalote, 7 species of Honeyeater, White-browed and Chestnut-crowned babblers, Restless Flycatcher, Red-capped and Hooded Robins. After a successful first stop we set off in search of our first Grasswren species: Striated. These ground-dwelling birds inhabit large patches of the spiky spinifex grass. At the first site we tried one was heard briefly, but disappeared without a trace. To make up for that we had great views of Shy Heathwren, proving not shy at all. 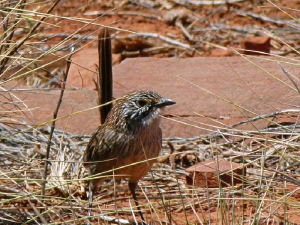 We checked another large patch of spinifex where we soon heard, then saw, a Striated Grasswren. 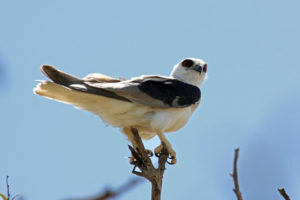 The June 2011 Southern Birding Services 6-day Five Grasswren tour consisted of 7 participants in two vehicles. Guided by Peter Waanders and co-led by Tonia Cochran the itinerary took us up the famous Birdsville track where conditions were excellent following high rainfall in preceding seasons. 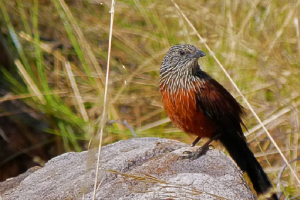 A total of 176 species were seen, including good views of all 5 grasswrens. Foggy and frosty winter conditions didn’t deter a small flock of Slender-billed Thornbills from putting on a show on the samphire coast north of Adelaide. After some solid driving we arrived in the beautiful Flinders Ranges after lunch to search for Short-tailed Grasswren. 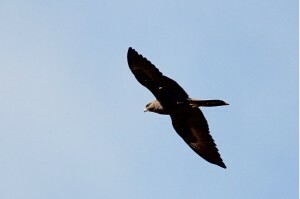 Despite windy conditions we located 2 individuals that eventually provided great views and photographic opportunities. 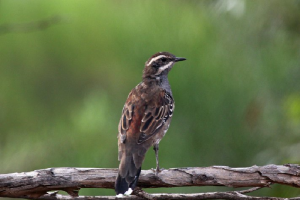 A family group of Cinnamon Quail-thrush was observed for some time while other good birds such as Zebra Finches, White-winged Fairy-wrens and Black-faced Woodswallows were omnipresent. 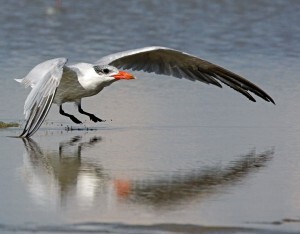 The year 2010 will long remain in birders’ memories as one of the best years ever for outback birding. Following years of drought, rain had been falling in the outback since November ’09 and seemingly didn’t stop. Every few weeks another major front dumped inches and inches of rain in the parched deserts resulting in conditions, described by one Aboriginal elder, as ‘never seen before by white people’. Creeks flowing for months on end; inter-dunal swales retaining water well into spring; carpets of purple, pink, yellow, white and red wildflowers; and of course, bird activity second to none. The downfall of all this water was that many of our tours had to have last-minute changes to the itinerary due to road closures and flooding. Nevertheless, thanks to the ingenuity of our staff we almost always found a way to the birds! The October Southern Birding Services Five Grasswren tour, with 8 participants and 2 guides, departed from Adelaide in the morning of 11 October and again, the threat of rain was looming in coming days. We were forced to compress the outback component of the tour by one day but nevertheless this trip was, according to the participants, ‘fantastic’ – ‘fabulous’ – ‘amazing’ etc…! 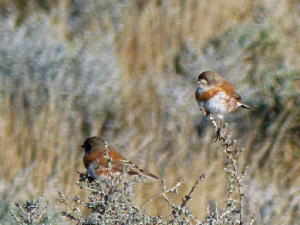 Highlights were all five Grasswrens (yes including Grey! ), Inland Dotterel, Australian Pratincole, Letter-winged Kite, Bourke’s Parrot, Cinnamon Quail-thrush, Ground Cuckoo shrike, Chestnut-breasted Whiteface, 4 chats including Gibberbird, etc etc…. The June 2010 Southern Birding Services private Five Grasswren tour was, according to the participants, ‘the stuff of legends’. Day after day, rarity after rarity, in stunning scenery following excellent conditions not seen in over 20 years, it was hard to choose a single highlight of the trip –there were just too many. A brilliantly coloured male Red-lored Whistler singing its head off in the mallee eucalypt scrub. Two pairs of Letter-winged Kites on their nests in the desert. 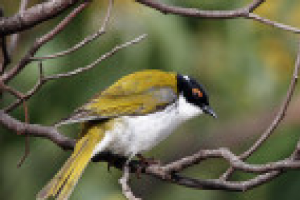 Six Chestnut-breasted Whitefaces in the mild early-morning light at some 10m distance in the scope…. A pair of Gibberbirds mating. A family group of Cinnamon Quail-thrush quietly feeding within metres of the vehicle. The calm waters of a large swamp, flooded for the first time in over a decade, where the constant chatter of ibis and spoonbill rookeries provided a background chorus to the crippling views of Grey Grasswren sitting atop lignum bushes in the foreground. Eyrean Grasswrens running along the crest of a wildflower-covered red sand dune in the late afternoon sunlight. A perfect Grey Falcon on a communications tower sitting beside its nest…. Birding doesn’t get much better than this. Spring 2009 was an excellent season in Southern Australia due to high winter rainfalls resulting in widespread flowering of native vegetation. As a result many resident birds had a good breeding season and many nomadic species turned up in good numbers in areas where they had been sparse over previous years. 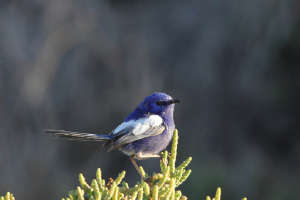 This was the fourth year the 6-day small group birding tour ‘Highlights of South Australia’ was run by Southern Birding Services. This season, the tour was run three times (August, September and October) with the same itinerary. This trip report covers the October tour. The October tour commenced on 3 October in Adelaide, South Australia, and finished there again on 8 October. Places visited included the Adelaide Hills and woodlands, River Murray, Birds Australia’s Gluepot Reserve, the Flinders Ranges, the Strzelecki outback desert and coastal areas north of Adelaide. The total number of species recorded during the tour was 191, just three short of the previous record.